All of my favorite things into a muffin. Pour batter 1/3 of cupcake tin and STOP. 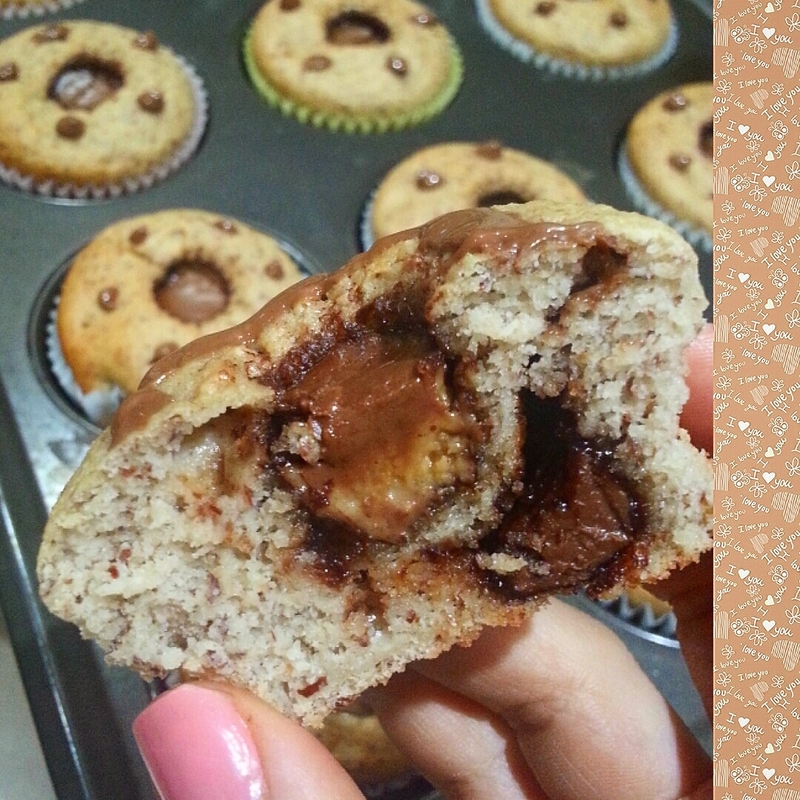 Dallop a tsp of nutella and pour more batter up to 3/4 of muffin tin. it will rise so don't fill to top. Place a mini reese's cup in center. Bake at 350 for 20 minutes and enjoy!